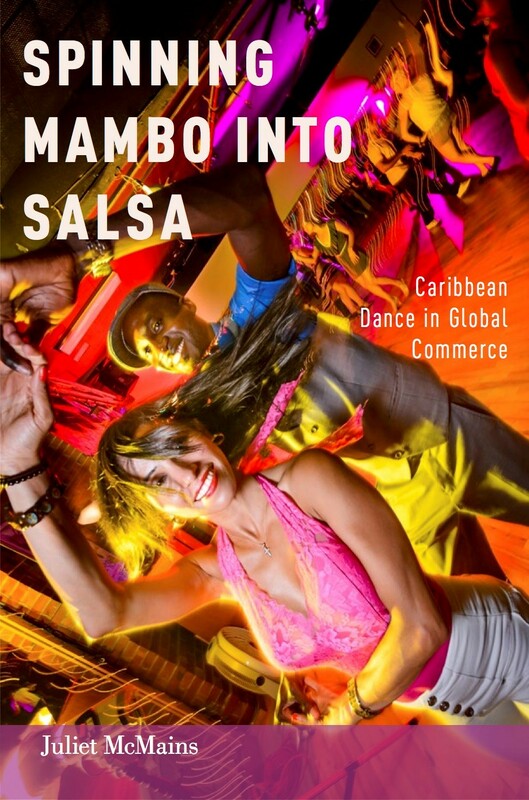 UW dance professor Juliet McMains’ book “Spinning Mambo Into Salsa: Caribbean Dance in Global Commerce,” was published in 2015 by Oxford University Press. Juliet McMains is an associate professor in the University of Washington Dance Program and author of “Spinning Mambo into Salsa: Caribbean Dance in Global Commerce,” published in 2015 by Oxford University Press. She answered a few questions about her work and the book. I began my own love affair with salsa in 1997, when the salsa dance boom was in its infancy and salsa dance styles around the world were still incredibly diverse. Juliet McMains is among the faculty choreographers for the 2016 Dance Faculty Concert. Other choreographers are Mark Haim, Rachael Lincoln and Bruce McCormick. There will be performances at 7:30 p.m. Jan. 20-23 and at 2 p.m. on Jan. 24. in the Meany Studio Theatre. Tickets are $10-$20 in advance. I have been teaching salsa dance classes at universities since 1999, and I assign readings on the history of the dance forms students are learning. There were great resources when it came to salsa music, but there was almost nothing written on the history of salsa dance. Eventually I conceded that as a dance historian I was in a position to fill the void rather than just kvetch about it. In 2005, I had just sent the manuscript of my first book, “Glamour Addiction: Inside the American Ballroom Dance Industry,” to my publisher and I booked a monthlong research trip to Cuba. There I was able to study Cuban dances that preceded salsa, such as rumba, son, danzón, and dances of the orichas, the Yoruban dieties. A few months later, I took my first research trip to Puerto Rico, and shortly thereafter I began traveling to Gold Coast Ballroom in South Florida, where old-time mambo dancers gathered on Sundays. I spent a lot of time dancing with septuagenarians and listening to their stories. I interviewed over 100 individuals, many of whom were in their 70s and 80s. The most rewarding part of my research process was getting to meet these older mambo dancers, spending hours poring over scraps books of their careers during the mambo craze of the 1950s. Once I started collecting stories from people I met in these locales, I felt a profound commitment to see the project through to completion so I could share the stories they had entrusted to me. Little did I realize it would take 10 years of research and writing before the project culminated in the publication of this book. The book, you write, seeks to document how salsa dance and commerce evolved in New York, Los Angeles and Miami. How extensive is the commerce relating to salsa dance — how big has it grown and over what period of time? Salsa dance commerce — which includes dance classes, performances, festivals, congresses, shoes, clothing, instructional videos and magazines — is thriving in most cities in North America, Europe, Asia, and Australia, and is growing in Latin America and Africa. Salsa music was commercialized in the 1970s, but salsa dance commercialization didn’t happen until the mid-1990s. It was actually a shift in salsa music — the emergence of a softer, less politically charged style of salsa music called salsa romántica —that led to demand for salsa dance classes. Salsa romántica became popular among nonLatinos who had no tradition of learning dancing in the home from family members. These new audiences for salsa music became the market for the first wave of salsa dance classes. By 1997, Puerto Rico hosted the first salsa dance congress, a multiday event convening salsa lovers from around the world for a marathon of dance workshops, performances and social dancing. Salsa congresses, which are now so popular that there are several each weekend in cities around the world, are the lynchpin in a network of contemporary salsa-related business. Salsa commerce also grew concurrently with Internet-based business, and exploration of the way in which the Internet shaped salsa dance commerce is one of the longest chapters in my book. I argue that although the Internet facilitated hybridization and dilution of regional salsa dance styles, it only accelerated a trend that began with 20th century technology such as radio and television. You note that the book’s analysis of the issues that shape salsa dance culture should be of interest to scholars in a wide range of fields, including race and ethnic studies. What might one learn of race through study of salsa dance? Salsa music and dance are hybrids of African and European cultural traditions that came together in the New World as a result of the slave trade. In the 1950s mambo era and during the 1970s when salsa music was first named, African contributions to salsa — its rhythms, its aesthetic priorities, its improvisational structure — were celebrated, as were its black innovators. As salsa became commercialized, aspects of the dance and music were whitened. In my book, I chronicle both the forces within salsa dance commercialization working to eliminate Africanist aesthetics (a term referring to aesthetic values common in the African diaspora) from the dance and also competing dynamics striving to recover and foreground its Blackness. Tracing how and why African contributions to salsa are alternately lauded and erased reveals not only important insights about racism but also offers inspiring models for combating it. 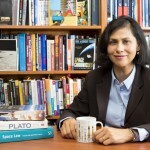 Study of salsa also invites reflection on issues of ethnicity, ethnic stereotypes, and the frequent conflation of ethnicity and race in the social construction of Latinness. You quote a dance scholar saying that to learn how gender inequalities in dance are sustained, ask, “Who moves, and who is moved?” That does indeed seem an insightful way of analyzing dance. What would one learn by following that inquiry? Salsa is usually danced in a partnership in which two distinct roles are maintained. One person (most often the man) initiates each move, becoming the improvisational choreographer who is in creative control throughout much of the dance. The other partner (usually a woman) must react with speed and sensitivity while maintaining balance during the multitude of turns that characterize modern salsa. Both roles offer their specific challenges and pleasures, but the fact that the roles are still assigned primarily based on gender is both reflective of and determines gender inequities off the dance floor. I was surprised and a bit disheartened to discover that female dancers during the 1950s had more creative control than modern salseras of the 2000s. Because dancers used to spend so much more time in open position where each partner improvises footwork independently in a game of one-upmanship, women in the 1950s often had a greater sense of agency than their modern counterparts. Histories of salsa music don’t really address salsa dance in any sustained or detailed manner. I wanted to redress this omission by writing a history of dance that considered how developments in music and dance informed each other. Though my focus is dance, I also include discussion of music. So I’m hoping that dancers take away from the book a deeper appreciation for salsa music and that musicians and music fans develop a more refined awareness of salsa dance. If my book can help heal the rift that has developed between salsa music and dance by encouraging more dancers to value and advocate for live salsa music, I will consider it a success.